Why workers’ day celebration was disrupted – Labour Minister – Royal Times of Nigeria. 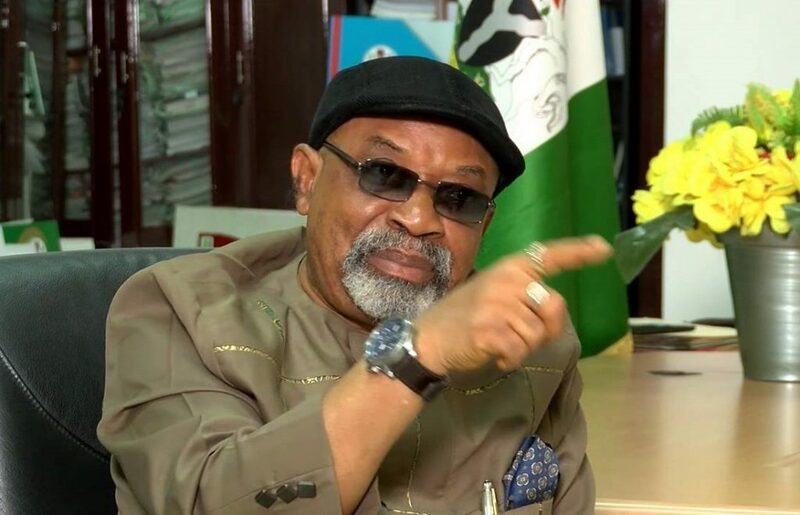 The Minister of Labour and Employment, Dr Chris Ngige, on Monday said the disruption of the May Day celebration in Abuja by workers was due to the infraction in the Nigerian Labour Congress (NLC). The Monday’s May Day event was disrupted by workers who barred government officials from delivering the speech from the federal government. Ngige said what transpired had nothing to do with workers’ demand for an improved minimum wage but as result of infiltration by non-workers into the celebration. He said; “The Federal Government has been friendly to workers to the extent that it even went ahead and initiated the bailout fund. “No government has done that before and that was because we did not want to lay off any worker. “So what happened today is that some people who are not really workers infiltrated this arena and they started causing some problems. “Be that as it may, we are going to address the issue of minimum wage, we are also going to address the issue of backlog of promotion areas and allowances of all sorts. “We captured them in the 2016 budget but for some reasons the releases are not forthcoming but the president of the senate has assured us now. “On the issue of the minimum wage, we have finished the framework for the composition of the committee of the minimum wage and we have passed it round to government to source the requisite and qualified persons that will man this committee. “We are going to address the issue of minimum wage; we are also going to address the issue of backlog of promotion arrears and allowances so workers should be patient and give us some time. “Within the next quarter, the minimum wage committee will start functioning and in the next three months too backlog of all arrears and other allowances that are due to them will be paid,’’. The President, Nigeria Labour Congress (NLC), Mr Ayuba Wabba, and his counterpart, Trade Union Congress (TUC), Mr Bobboi Kagama, however said Nigerian workers had expressed anger and disappointment on the non-implementation of the minimum wage thereby disrupting the 2017 May Day celebration. According to them, workers have today expressed their sadness, challenges, as many of them have not earn their salaries, so it is a demonstration of anger on the situation in the country. Ayuba said; “The challenges workers are passing through are enormous, workers have expected that either the President or the Vice president would have been present to respond to workers yearning and anticipation.